During the last two years as the FSFE Finnish team coordinator, he has checked over 300 public procurement notices, if they are unfair towards LibreOffice and other Free Software. 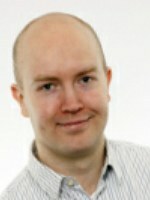 Otto Kekäläinen has 15 years of experience using, developing and promoting GNU/Linux based systems. During the last two years as the FSFE Finnish team coordinator, he has been involved in increasing Free Software (Open Source) usage in the public administration in Finland. During his work he checked over 300 public procurement notices, if they are unfair towards LibreOffice and other Free Software.